The Long Term Ecological Research program (LTER) is a network of field sites used to study structure and process in natural landscapes at temporal and spatial scales of decades or centuries. The ten sites now funded by the National Science Foundation’s Division of Biotic Systems and Resources, include forest, prairie, desert, and aquatic environments. Major questions are addressed at each site related to patterns and controls of primary production, food webs, population abundance and distribution, organic matter accumulation and biogeochemical cycling, as well as questions related to disturbance frequency and affect. A base of common measurements and questions lay the groundwork for new analyses and generalizations across very different ecosystems relatively unencumbered by the unique character of each ecosystem. 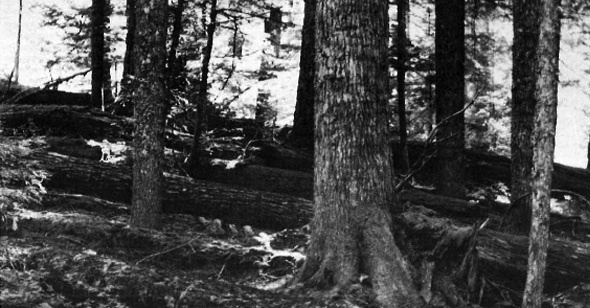 Problems more unique to each site are also under study (cover picture: log decomp study conducted by Dr. Mark Harmon, Andrews Forest). The accumulating record and experience provides a temporal and spatial context for individual researchers needing such a base for their experiments. Institutions operating LTER sites encourage collaborative research by scientists at other institutions and the use of the sites by visiting investigators. LTER sites are regional and national research facilities. Interested researchers should contact the individual sites.